You may not feel her presence on television these days but Kris Aquino is still the reigning Queen of All Media. After 20 years of working for the country’s biggest TV network, Aquino decided to leave ABS-CBN Broadcasting Corp. and try her hands on other things. Aside from keeping her followers up to date with her online show called Heart to Heart with Kris, Aquino is also busy learning the ropes of running her own businesses. Nacho Bimby, Aquino’s latest venture, is a food cart concept offering tortilla chips topped with pulled beef and a variety of dressings. As anyone would have guessed, the business was named after James “Bimby” Yap Jr., whose favorite snack is a fusion of Tex-Mex cuisine. Here are a few things you need to know about Nacho Bimby. 1.Nacho Bimby is in partnership with another popular franchise brand. Unlike other food cart franchise businesses, Nacho Bimby is in partnership with Potato Corner, a franchise brand that Aquino initially planned on investing. 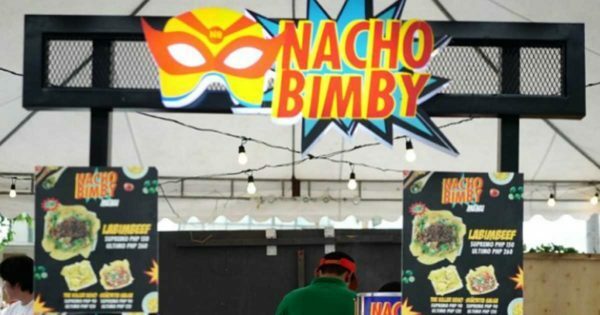 In the future, Nacho Bimby aims to be as big as Potato Corner, which had Php1 billion-worth of sales in 2015. “It took us 18 months to perfect the business model for PC+NB. The first year taught us how to maximize our operations. We took the calculated steps and opened PC+NB across different mall chains to fully assess our potential,” Nacho Bimby business manager Nicko Falcis said. 2. Investment is relatively more expensive compared to other franchise stall business. You need to invest P2 million to P3.5 million in a franchised stall of Nacho Bimby. While this is a relatively huge investment compared to other food cart franchise business, the franchise packages already include the construction of the branch, staff training, store equipment, marketing support and initial inventory for up to two weeks of operations. According to Aquino, most Nacho Bimby’s branches get their investments quickly. “The investment is not so big so we got the ROI (return on investment) quickly. From our experience, it’s about 30 months,”Aquino disclosed.